How many more Chris Mackneys have to die while we are waiting for the Event to happen? EVENT NOW, enough innocent people have died already!! Why do you wait for someone else to save you? It is up to each one of us to save ourselves. Consult your heart and follow where it leads. We are all in this thing together. All pieces are necessary. Find yours, encourage others to do the same, and you will be amazed at what unfolds. The statement was about Chris Mackney, not the self. Some of us are tired or watching others suffer or get thrown under the bus as if this is a game. It is not about ourselves, it is about the children, animals, and nature herself that suffers. No child can "save" themselves! And it is awfully damn arrogant to expect as such. Cindy, nowadays everybody is dealing professionally with saving themselves. But it doesn't seem to be enough! You can't win against maffia if you are alone against them and know nothing about their nature and information. I completely agree with Cindy Shippy Evans comment.I want to thanks Cobra & his team.God Bless you Guys. Sleep tight light workers. We will do for you event you want to nam.Pust nothing can disturb your expectations. In Baghdad, everything is calm. God bless! I wish they were more known... But If we want to spread info about portal2012, we'd better do it in other light workers web-sites, and not everywhere. Posting everywhere would have the opposite effect, it will be much more effective to share cobra's word with other awakened beings that don't know him. Well thank you for the update. It is disappointing to know the Event will be even further away than any of us wish. This is exactly why we all need to band together and make sure we gather as many light beings to our cause as possible. What you read on internet about cloning facilities and weather modification programs of the Cabal is disinfo. The real facilities are existing in a completely different context. Forget about HAARP in Alaska. Okay, that's fair I suppose. I am available to you in any capacity needed. Love and light, brother. This confirms much of what I thought was going on. Cobra, even these little nuggets of info are very helpful even if they do not have significant Intel revelations. We just have to keep at it, folks. If anything, try getting an extra person here or there to assist in the meditations. For those more ambitious, go to the Prepare For Change site and help out in whatever way suits you. We are building a civilian communication network to support the Positive Military and the RM during and after the EVENT. We can do this - but we need to work together as much as possible. Someone want to enlighten me why this Anonymous video has footage from my neighborhood in Queens? Specifically the 7 train and the 61st street woodside station? I don't believe in coincidence so don't even try. When pushed, I don't play nice. Don't push. I agree, but it has been part of the creed since the anonymous idea started on the internet. I feel sorry for the souls of people who chose to go on the path of evil because they live wicked and selfish and hollow lives, they are the true parasites of humanity. Perhaps it should be "We do not forgive...yet!" because it's hard to forgive someone when they keep doing the same horrible things to innocent people. Imagine this, a child throws a rock at your window and breaks it. The child says they're sorry when they get caught out but they have a devious smirk on that tells you this child isn't really sorry, and that undoubtedly this child will do wrong again. In this case the child needs to be taught a lesson, then comes the forgiveness. I am only sad it's taking so slow, but I understand how much pressure is put on you and the RM. I understand how hard it is with people complaining. I'd rather wait until it's safer. Nobody knows with what silly idea they might come up with. I mean the government in most of the countries is already losing their mind (silly laws, etc). Not mentioning the souls who have not awaken yet and are still sheeps. All we can do to assist you is act on our highest excitement, help one another and meditate on Sundays and other important dates. Thank you Cobra....but I do not believe the surface population will EVER be ready. Hands up ...I had my moan on an earlier post. But I dutifully do my meditations and pass on information. At this stage my family are seriously concerned for my mental health that I believe all this "rubbish". Trigger the Event asap . PLEASE. Thank you to RM and lightworker communities I dont feel so isolated and it's good to know there are other nutcases out there who BELIEVE. It simply is not worth feeling sad, angry, or isolated after a negative conversation where accusations of mental illness are thrown in one's face. This time in our planet's history...this one is for all the marbles, so to speak. Those who wish to enslave and/or destroy humanity will stop at nothing, and we must match their will and even exceed it. Luckily there is so much infighting that we have a golden opportunity to destroy the matrix of control for good. Don't let those asleep get you down. They may not realize it yet, but they need our help. I didn't incarnate on this planet to give up before the good fight has been won, and I am personally asking you and anyone who reads this to keep working toward full and final liberation. Do what you can, but please do not feel sorry for yourself. Mental preparation can help you take your power back. There are lots of us ''nutcases'' out there...be strong, hold the light within you...we are at the most important stage of all our lives we lived on this beautiful planet...it is this one which will decide our future destiny. I know that sometimes it is hard to just sit and watch all the terrible things that are happening, but every moment like that must make us even stronger. If we stop believe now it would be the biggest mistakes and a big win for the cabal. This is what they want us to do. Will you surrender? Will you give up now? No way sister, it is our time, we are now stronger than ever! We hold the Light! We hold the love! We hold the Victory in our hands!!! Light will always win over darkness!!! Love and light to all my brothers and sisters out there, love for Cobra and RM...We can do this together! Stay strong, Victory is near!!!! There are many changes going on, we will be ready eventually. It just seems like it's getting worse because human conciousness has been sweeping it's darkness under the rug for so long now, and it's being cleaned out. There is a phenomenon of awakening going on, and it is spreading fast. So have faith! and I would like to recommend something to this group... Oneness Deeksha has been crucial in my awakening. It's really a very amazing thing. I fully agree with you, Kai. Oneness Deeksha is the most amazing thing I have ever come across with! Hopefully more and more people will meet this phenomenon and experience how it can change their lives in an instant and help them become awakened. They will never have any doubts about Cobra's work anymore. Hang in there everyone! Victory is near!!! Get healthy, exercise, help someone heal, do a kickstarter, grow an apartment garden, spread anti-cabal info, mediate deeper, learn ozone therapy, follow your gut, learn an instrument, read the LERM materials, research new finance, meet more switched on locals in your town. "Many people were not able to handle the etheric Archon pressure"
Now I'm sorry Cobra, but It's not really like that. At the time of the event people will have way more things to worry about, and even the people that have no clue about what's going on will have to behave. Some people were more angry and agitated yes, but over petty and ridiculous things. I won't be arguing with people on the internet at the time of the event, that's for sure. I love you Cobra and all who are working to make our planet a happy and freedom embracing world. I will keep the faith. Thank you angelic beings and helpers from other worlds. Can't you ask the Light Forces to ask other Beeings/Planets/Civilazations to come and support the liberation process on this planet? Or am i guessing right that it doesn't really matter for them, because there is not a really serious threat from this planet to other planets? If that is right then we shouldn't complain that much. I don't think there is a reason to complain! Re: "Can't you ask the Light Forces to ask other Beeings/Planets/Civilazations to come and support the liberation process on this planet?" Answer: We, other beings from other planets and civilizations ARE HERE RIGHT NOW - many just waking up and many not awake yet - but WE ARE HERE because we care. I think you guessed right. All of the helpers out there are in some blissful state and are in no hurry to help the ones trapped here. Furthermore, since they are free of the cycle of death/rebirth, they can't even comprehend the pain and sense of danger you feel inside this. So they don't care if this takes a few hundred years and we all go through 4-5 miserable reincarnations more in this black hole. If this is too tough to swallow though, ignore it. Well we woudn`t need any help from a bunsh of selfish group or individuals, would we? The GLF and others are the opposite and are already helping us tremedously. I think we are very lucky to have RM, GLF and other benevolent beings assisting us in this transformation. No matter how surralistik it seems we have choosen this experience and I am cofident we vill be victories very soon. Let our hope and trust shine so the dark forces see that their effort only makes us stronger. Thanks evreryone for not giving up and much thanks to Cobra for being sincere whether "good or bad". Thank you all for doing the hard work. when the holder of the Arc of the Covenant became attuned to the new reiki ray given by Dr Usui himself along with hilarion, in spirit, during the Grand Cardinal Cross. the rainbow Reiki Ray given to hilarion in 2013 holds 13th dimensional frequencies. And now It bestows the power of the Covenant. The Divine plan when arcons lose by the 21st day. Reiki is given through intent. and the Covenant holds Highest intent with the Love of God Himself. So, choose loving intent, and you bestow the power aswell. Arcons cannot love. Because they can not accept the silver love offered by the Divine mother. Since they are the opposite. If you need anything, and your intent is pure and good, you will be helped. Because that's what the rainbow Reiki Ray is offering. The Trinity is reforming again and will be more powerful than ever by the 21st day after the ray attunement. You hold the Cup of Christ. I appreciate getting a taste of what is to come at the event............It did take me by surprise................But Now I know and will be much better prepared to handle it! I wish I could find people near me to talk about this. I libe near Chicago but there does not seem to be anyone. I liked the idea of raidcall but I have never seen anyone thers. On the prepare for change website is a link to join meetup groups. Everyone should check that out, especially if you live near Chicago. There is one for Naperville, but I am the only one who joined and the person who started it has not checked in in a while. Check previous post by cobra! We would like to thank Cobra and the RM for their efforts and wish them all the best in their future endavours. Are you leaving Rajah? Realy? What a pitty we could learn so much from each other :-) And melting iron in to Gold...that's what we aught to do... you know?! We'll just do some restructuring in key positions of The Operation. When We "future-endavour" somebody it is after We come to terms on the termination of their existing contracts. It is the polite way of saying . . . Thank you Cobra - the Stand Up video is very uplifting. Thank you Cobra, for telling the truth. You've heard me saying before: "I want to do something in person. Something REAL". THIS is what I've been talking about, and showing people with my own actions. It's time to make A change! Any change, any help..... Small or big, does not make a difference. It's just time to DO something for the betterment of ALL. What kind of world/life we're passing to our children? And, (if things keep getting like this), what kind of life we are going to have in a few years...? I've said this before: "I can never BE totally happy, if people living around me are still struggling to have a piece of food, to keep their house and have a roof overhead.... To keep the job they hate, because they need the damned money to survive..... etc "
It's as simple as that - I just can NOT think only about me. The world does not spin around ME only. And I REALy C.A.R.E. =Communicating As Renegade Emissary. Yes i can testify of very insistant interference recently. Yes we all need to take the matter in our own hands, each in our own way. We are all unique expressions of the Source and only ourselves can make that happen. We can use help to remove the crazy here, but it only happens with our participation. We will have to create our own lives. It's difficult to see that after all this progress our lives are still interfered with a lot. I wonder how come the light forces are only discovering some physical surface facilities now ? I thought lightships, or angelic beings, or other kind of light forces had the ability to scan everything on the planet. I think Cobra you said that the galactics know exactly what all the players on the surface are thinking and feeling ? How come they only learn about facilities on the surface now then ? There must be some major piece of the puzzle we are not aware of yet. Mediation is perhaps the MOST powerful thing you can do to help the surface collective consciousness rise to the level needed for the tipping point to be realized which may trigger the EVENT. I'm up to 90 minutes twice a day and I feel the expansion more than ever before. It's a collective consciousness. YOU are part of the collective. NOW GET TO IT!! How do you feel about doing the heart work Dr. Neruda talks about in his 5th interview(finally - after 16 years!)? It is true that the Cardinal Grand Cross was energetically rough. I have been sick ever since the activation and am only now starting to get a little bit better. This update, while informative, leaves a lot of gaps and missing information. And raises a lot of questions in my mind. We are all tired of this battle, but we can regain our power and struggle on. I think that the two acupressure points need to be pressed much harder. The development is started and ongoing for the free energy devices, but what about disclosure? So far, nothing. I think it is time Snowden leak his UFO documents! People can't begin to imagine a different life unless they know that a different life is possible. just merely the other side of energy waiting to transform in your heart. Thanks for the update. I have been following this blog for about 6 months or more and it seems like many forecasts have gone awry. I believe that part of the problem is that you are trying get people, many of whom are completely out of touch, to partake in an unfamiliar and awkward meditation ritual. Most people don't know what meditation is all about. I have experience in meditation and I have followed your ritual instructions several times and done the 'meditation' at the required time but I have much better results just sitting quietly and stopping my thoughts. Doing your ritual I have not yes felt the connection to Source or the presence of any spirit guides etc. I will continue to practice but until I feel the results of this specific meditation ritual I won't endorse it to anybody else. I suspect many people feel the same. Also things don't go viral just because you ask people to re-post your info. Viral sensations happen when the information presented has a desirable effect. A funny video connects with people, they laugh and tell a friend. Great music connects, Amazing feats connect. Asking people to make an obscure meditation ritual go viral just does not seem to be an effective strategy. Asking people to support a streaming concert with music they may not find appealing divides people and makes it look like a scam. Is there a simplified version of this meditation or an explanation as to the significance of all the moves? You gotta stand up for your rights"
I agree, in order to promote something and have it go viral, people need to feel connected with it. For example the title "Peace Portal" went viral simply due to it's catchy name. Remember even "awake" people are still programmed, they need catchy names and more simplistic meditations. I feel no connection when doing the spiral meditation, and it puts people off, that's why it didn't travel as far as you would have liked. I completely agree with riseabove. I actually had a conversation with my boyfriend about this. For those who stubble upon this page, or see it from a friends wall on social media and have never meditated before, they will be turned off by chants, spinning, and stuff like that... one can't expect people who are programmed to think something like this realistic. I hope that there is a better strategy for May 17th. Also, is it possible to get this information on the news? If so how?? A site explaining how to make something go viral would be very helpful. I've been wondering this for a long time.. What about radio stations for when people are in the car? Most of the world populace are so brainwashed that im surprised I ever woke up to this. Take for example vaccines, all of them are dangerous whether its for children, adults or animals and I tried many times on one forum here in the Philippines frequented by female/moms this year posting at least 10 different websites showing proof thru testimonials, literature, photos, court cases, payment for damages and so many other ways and you know what happens? So it is hard to fathom the general populace would wake up at a very fast pace that there were times I wondered if it was the right decision to ever wait for them to raise their consciousness and ascend all together to the last person........that will take forever and maybe it would be better to send those 3D loving fools to their own world where the rest of us waiting too long just ascend without them. I am very surprised how the light forces work to bring the cabal / archons out. At every single turn, the cabal / archon came up with something to delay the event. And it seems so many things the light forces doesn't know before. Once, they said they had already removed most of the archon in the etheric and now they didn't know the Chimera group is much stronger. I just do not know what to trust now. This is like a stalking game, leading us like a donkey - going to places, no major RV reset, no NESARA, no First contact, no, no, no - only see disasters one after another. WHAT THE FCUK IS GOING ON? I wish this evil Cabal would just be destroyed by the powerful forces of light out there and just be done with this game on Earth. We have had enough lessons on Earth and we just need to get on with a new beginning of Joy & happiness. Let`s do this now, no more waiting. Crush this evil with overwhelming Love over the whole Earth. I love this: "Work on you and the world changes as you do." YES! co-creative process! Thank you, Rob H! My intention is still alive which is what the final bill. The Chimera along with any Arcons will be eliminated by the Window of Opportunity. In case anybody is wondering, the Pleiadian portal will be activated May 17, during Cobras next conference. Do you have any info regarding strange noises in the sky, I just seen a video and the guy apparently hear the same kind of vibrating nois I used to hear alot back then here, and I always thought it was some kind of big motor plane like the B-52 (or something like it) and often it was at night so it was suspicious.. also it's literally made the walls move I believe, well this guy was being creeped out on the video and I recognised the same kind of noise I heard. Could it be the governement testing out their 3d satellites sounds "Blue Beam" technology... or simply their HAARP, weather or whatever.. I just hope Blue beam never happens that's probably the worst conspiracy theory I ever heard.. I can hear the UAV planes from the nearby military base at night. It sounds like a motorcycle that doesn't shift gears. SALUDOS.... IS POSIBLE BUILD A MINI QEG 2000 WATTS MINI GENERATOR MORE AFORDABLE COST . ,,,,PLESASE !!! Checked out George Kavassilas as recommended by a few lightworkers. Resonates a lot ( but not all ) with the information on this portal. A fascinating account of how and why Source compressed itself into this 3D reality. Lightworkers on the point of zoning out need to get in touch with the information in this book and realize the sheer importance of this particular planetary body - Gaia, the compressed essence of Source itself that each human incarnation carries within ( you have access to infinite power ) and the necessity of completing our mission in this incarnation to help Source bring balance into the larger scheme of Creation. Dear Cobra: Thank you for all of this interesting information, once again. This link about what happened at Bundy Ranch, Nevada, and that there were actually hidden snipers there who were prevented by our star friends from doing very bad things ... Holy Cow, I didn't know how wild it actually was....... Our Star Friends are helping us so clearly we must keep the faith.................Look people: We all need to work on our spiritual development every day, in any case, no matter WHAT is going on with the Event being "on schedule" or "not on your schedule." ......... For heavens sake, grow up, those of you who are complaining.......... People or beings are working very hard behind the scenes. ..... We can all help if we are positive and send positive energy their way...................... We have to meditate anyway... How else will we get to know ourselves?. Each of us has to shut up and listen and quiet ourselves to hear ourselves and make changes..........How else will you grow?............... You owe it to yourself to do a daily meditation. Learn about yourself and make changes in yourself and in your perception and in your own daily life.........Otherwise, you are wasting your incarnation.....................My meditation teacher (no longer with us) always said: "One positive person can affect 1,000 people." ..... If you are reading this blog and these comments, then somehow you have an interest in helping mankind. You start with yourself..............Here is the deal: I have to start with myself, admit my weaknesses and start making changes..... raise my own consciousness..... raise my own kundalini (look this up if you don't know what this is) and my raised energy and my raised consciousness will start affecting those around me......it will wake people up........and change the earth's aura and get people ready for what is coming ... and it will calm everybody down.................We owe it to ourselves... We can start with love and compassion for ourselves and then send it out to everyone around us..... We can do it... .... Let's visualize all the positive forces working together .... solving all issues..... clearing all problems... all layers... all that negative - whatever- junk that's in the way..........The Event will happen and we will have each contributed................Namaste. I have a few things to say. To start with I want to point out that it is not just light workers, and light beings that are there fighting and trying to protect us. There are human beings, who are not at all aware of this silent invisible war, who are trying to protect us from evil. In the United States they are the Oath Keepers and the individual state militias which are in the video that Cobra posted in this post. Oath Keepers are military personnel, police officers, firefighters and paramedics, all of whom have taken an oath to protect the constitution and the individual rights of the people that the constitution protects. They have come forward and promised to keep their oaths and never obey any orders that defy those oaths or are illegal or against the constitution. They are the ones who came to the Bundy Ranch along with the state militias who have similar values to protect them. So we need to remember that there are people out there who are willing to put their own lives on the line to protect us form evil. This incident is a huge sign that people are awakening in my opinion. While it was potentially a very disastrous, horrible, evil thing that was intended to happen, that would have spiraled into much worse things, there may have been intervention from light beings, but it would have never happened if it wasn't for the goodness, and awareness of the people involved. I am immensely grateful to them!!! All of them, the light beings and the regular human beings as well. Another thing I want to say is that it is imperative that we stay positive. Love and laughter and good thoughts, good feelings, are our weapons against the cabal. Someone mentioned Richard Bach in previous posts, his books, Johnathon Livingston Sea Gall and Illusions. In Illusions I recall a question posed along the lines of: what would you do if God gave one commandment and that one commandment was simply to be happy. Can you do it? I know its hard to be truly happy knowing people are suffering, terribly. Even my own kids suffer regarding certain things, and others suffer unbearably. But what if being happy was our weapon. We are doing it FOR them, not in spite of them. No matter how much I suffer, or could suffer in the future, even if its unbearable, I want others to be happy. As happy as possible. I don't want others to suffer because of my suffering. It only adds to the sadness in the world. Its okay to be happy and feel good even though there is suffering going on. And we can do what we have to do. We are strong, stronger than anything. We need to hang in there!! Take a deep breath and plunge forward. It feels good to know that no matter what has been thrown at me, I am still going strong!! Before we lose our faith once again because of another discouraging news released by Cobra, we have to ask ourselves this: What is ascension? Ascension is not gaining superpower like teleportation or our own spirits leaving out of our physical bodies into heavens in the way of so-called death. According to Salusa, ascension means despite the world tries every means possible to tell us that's the way it is, we STILL wonder there is more beyond that, even for just a bit. When we first learned that our world is merely an illusion/a stage, we feared but at some certain point, we accepted it and we awoke. We later plucked up our courage, being desperate to know the truth more, and hence we are where we are right now. The moment when we made our very first decision, the ascension begins. With no concrete, hard evidence, how did we persevere all the long way? Our thoughts and visions for a better and harmonious life is such powerful that we had no idea how strong it is. Before we knew it, we are already here. "But things change. Cobra said the Chimera group is a bit stronger than previously thought, and the etheric Archon pressure is getting stronger. It seems like the Event will have to wait." The outside world tries all means to persuade us that the Archons still can affect our emotions and the Event will have to wait longer. What's the difference between this and the very first time when we knew the world is an illusion but it still tried to persuade us how real it is? They are all trying to persuade us into BELIEVING in something. When we were children, we believed in the existence of Santa, even though we sometimes wondered whether our fathers dressed up as Santa, or why Santa's voice sounded so much like our own dads. Nevertheless, we still convinced ourselves that Santa is real until one day we STOPPED thinking so. Same reason to fairies, until now we are again beginning to believe they might be real. We all heard of the story that if a terminally-ill patient is given a glass of water and told that it is an effective med recently published, his illness is improved after he taking it three times a day. That is the power of our creations: our thoughts. Something is true ONLY BECAUSE we believe in it. The cabal and the Archons know this way better than any one of us, so that's why they can control or manipulate us easily. All they do is simply give us some negative ideas, and watch us doing the rest of the work: we will feed them, grow them, and even afraid of losing them. What is Cobra trying to remind us? We are ordinary citizens, and we are neither soldiers nor resistance members. How can we put up a fight against the cabal, against the Archons? "Every small action counts and brings the Event a little closer." Besides holding onto the light, we also have to ask ourselves: What is ascension? Once we ask ourselves this, we become the masters of our own ascension. Just BEing and DOing is enough for us to turn this around. It's not about ascension it's about inscension thus taking back our force within that has always been there. The 3D rubber band is stretching trying to hold us back but it can't and is not allowed to it will break and we will be in full swing to other dimensions. The planet is already in another galaxy that does not support the Archons at all..
Keep up the good work people and KNOW your power you don't need FAITH in it! Would it not be helpful to make a mass meditation to remove the etheric Archons? For example with the Goddess Vortex. Thank You very much, let's take it Home. Is there a youtube video or website to find out more about this device/technology? Im interested. Can you give more info on how it works? It talked a little about overunity with cold fusion,Eugene Mallove and his book "fire from ice"and Gerald Pollack's current research, and recent book,"the fourth phase of water". Water will be the center of our creating a new earth. This is incredibly important work. I have finally taken the time to read and watch everything posted. There was one thing that did completely strike me as a real truth. When in prayer or meditation, if you combine what you are envisioning or praying about with real true emotions. Deeply felt and vibrantly manifested as you pray. There is an effect that is created to bring the thing envisioned or asked for to become reality. It has been a while since I had this occur, but it does bring about the desired effect. I have been practicing Nichiren Buddhism for nearly 30 years. I must admit that at very dark times in my past in real raging anger I offered myself to the dark. But I never noticed anything come of it. About 2 years ago, I was facing a very direct threat to my life ( for the third time in my life) from a local gang in my small hometown, after having escaped twice, direct threats on my life in Columbus by gangs that at those times, I heard them plan to kill me. Having finally fled from there I had returned to my hometown and made the mistake of exposing some drug activity to the authorities. As I was chanting very fervently for protection, rejecting the dark side, I would literally feel claws on my legs, like someone grabbing on to try to pull me down. This happened many times over a number of weeks. I would reject the dark and tell it to go back to the realm it came from every time I would feel that. It went from being very pronounced and on my upper body to eventually going down my legs to my ankles. I was chanting our mantra, and having seen something on the stigmata at some point, said in effect. "If Jesus is a real entity and you did return at some point, I would happily acknowledge you on bended knee." I further said "I know I am not in any way worthy, but if giving the stigmata, to a Buddhist would be of any use, I offer myself." Not in any way believing or expecting anything, just putting it out there. At some point later on, I don't know how much later, I know I was sincerely asking for forgiveness for everything I knowingly or unknowingly, by commission or omission, done to hurt any human or other being during this lifetime. At some point I felt a sharp pain I believe on the right temple area. It soon spread to be pain all around my head in a circle. I didn't realize what was happening at the time immediately. A very sharp pain hit both my feet in the middle all at once. When it eventually struck my wrists I realized what was happening. The final thing was a very sharp pain on my left side. There was no outward sign of this, just the pain. I thanked whomever did this to me. It only happened once. But I know that emotion with prayer really is world changing. If all of us, can recall some instance where we recognize some sort of divine intervention, no matter how small. And as we pray/ meditate state that you know the 'universe' 'God' was real and that it/they hear me and respond, even though I am not really worthy of it. And that you are grateful for this intervention. Then call to mind whatever you need for yourself, and especially for others, and add your deepest emotions envisioning what you want to see happen. Calling out to them to make this happen. I believe with all my heart and mind, we will dramatically increase the power of the light with in us and in the world in general. And we can accelerate the clearing of the dark from this world. It needn't be some grand thing. Just something that you or someone you care about really needs. No begging PLEASE, just have confidence that you are heard and they will respond, is all that is needed. Your mind will be blown by the results. And we can finally end this nightmare quickly. And welcome true freedom and happiness for all of humanity. Cobra, in terms of percentage how far have we reached? Do we always have to wait for a window of opportunity for the event to occur? How can you expect a percentage after what Cobra just posted? 90% done last week. 60% this week. Definitely looks man-made to me. I wonder what it's capable of doing. what I like about this post that now some really have to look inside theirselves, not theoratically but practically, so they can discover their true power.....we all have so much power!! I feel like Cobra is trying to tell us in this post, in a non-direct way, that even lightworkers are starting to abandon this quest. Some websites wouldn't post the information about IS:IS portal opening? Why?? I look at galacticconnection.com and I see every type of information posted- even if it is very likely disinfo. Why would other sites stop posting Cobra's information?? Personally, because I check a lot of different sites and blogs, I have started to notice a Archon-influenced virus spreading around the light community to cut off Cobra and Benjamin Fulford (the most obvious example can be found here: http://galacticconnection.com/tararama-report-4-22-14/ but there are others more subtle). Those two guys are the big targets! Why? Because they are the only ones telling the truth! So, guys, do what you can. Reach out to people. Let them know what is going on even if they think you are crazy. If they are your friends they will love you ANYWAY (and if not, good riddance!). We have to get Cobra's message more mainstream. It is then and only then that Estore will give us our gift. We lightworkers are not afraid of death and we are not afraid of suffering, but we are very afraid of the death/suffering of the ones we love. But if we don't do something NOW they will die and suffer even more. We can't hide anymore to protect the ones we love. Terribly sorry, in my previous post I misspelled Eostere's name. Please substitute the correction. Thank you. Cobra, Thank you for all information on this posting. A couple of things, maybe you should reinstate what people should be doing (humans have to be told the same things repeatedly). A lot of people are flapping their wings out there on their own, I am. I see comments of people who are trying to tell others around them, and their just looking at them like their nUtZ, I am also experiencing the same. I would have better luck with a brick wall....in your next post, and the next post repeat the "this is what you should do" again, and again in different ways. Victory in the Light! Thank you, Cobra, and to all who post comments here. I have learned so much in the last few months by reading your comments, following your links and watching recommended YouTube videos. For years, I have felt something was very wrong with our world. Unlike many others who take things at face value and believe what they're shown, told and have read, I always suspected a larger and more sinister plan in play. My cynicism was depressing to me and others around me. Now that I have been directed toward love and light, I have a far more positive and optimistic outlook which, indeed, has a positive effect on those around me. I can now work on centering myself instead of being at the effect of challenging situations and people. There's great satisfaction in choosing peace, love and light in place of fear and depression. Sure, there's disappointment in reading some of Cobra's updates, yet it encourages me to reach inside myself to find a way to make more of a difference. My intuition says if I look around me, there are many like-minded people who just haven't yet been shown the path. They are thirsty, but have not been led to water. To use a down-to-earth metaphor of draft horses -- One horse can pull about 8000 lbs. Do you think two horses can pull twice as much? If so, you'd be wrong. Two horses, harnessed and working together, can pull three times the weight of one. If we keep our communication with each other strong and enlighten just one person at a time, our individual influence can increase exponentially. The ones waking up are actually doing this for the highest god of all mankind! THANK YOU COBRA FOR A MOST STRAIGHT-FORWARD, REASSURING AND ENLIGHTENING POST! YES, PEOPLE, I AM SHOUTING, BECAUSE I AM THRILLED TO HEAR OF THE PROGRESS MADE!!! THANK YOU, BLESSINGS AND PROTECTION TO THE RM FRONT LINES! <3 I love you all and cried with relief when I read this post. I feel STRONGER now just knowing what you have shared. PLEASE LISTEN TO COBRA. -->>"Instead of complaining, do whatever is within your power to assist the planetary liberation. Every small action counts and brings the Event a little closer. "<<-- If we are not part of the solution (assisting in holding the light and spreading information to an increasingly alarmed public) then we are unwittingly assisting the cabal. Now it is time to step up. INTENTION IS EVERYTHING. Do not think you have to figure out who can handle this information. JUST SHARE IT, and it will be find its way an organically to those who are ready for it. YOU WILL BE SURPRISED how many people, who and which people already see through the game of this unreality paradigm currently on the planet. Most people I talk to! In casual conversations, I talk to people in general terms about planetary change, about things going on behind the scenes, about there being a plan in place to end corruption, expose wrongdoers, arrest oppressors and opportunists, restore the Constitution, institute a new financial system backed by gold. People may be too discouraged to believe it right off but YOU ARE PLANTING SEEDS, many of which will later blossom. Look how many new people (including me) have shown up here in recent months, because they heard something about these ideas, heard about this guy (our beloved) Cobra, and wanted to learn more. And don't forget, there are a myriad of enlightened groups of people gathering all over the planet to meditate, discuss ideas and collaborate on win-win solutions, or working to send healing energy to people and places in need. This is what is meant by "BE THE CHANGE". I am also relieved to know that I am NOT going crazy, NOR AM I BREAKING DOWN, but rather, there was major Archon interference in recent days. I actually felt quite calm at the Grand Cross, it is the eclipses that got to me, and this Solar Eclipse. This week I have felt like someone or something has been trying to break me down so that I can't function and so that I close my heart. DON'T LET ANYONE CLOSE YOUR HEART, LET THOSE WHO ARE STRONG UPLIFT YOU. Recently I connected with someone new in my life (a Godsend if you ask me) who seems to be (effortlessly) working on opening my heart, what a gift that is! Whatever the outcome of that, RIGHT NOW it is helping me to relax, heal and get back into my heart. Love to all, and thank you for your Love and Light. Cobra, thanks from the heart for all the work and the information update. Re critical mass: it's not the pressure, it's the continuation of needless suffering. And the ritualistic nature of the last activation will not have helped either to gather effective support. Free people do NOT participate in rituals unless they have a FULL CONSCIOUS understanding of the effect of each step (me included). Nobody even blinked when the portal activation was named IS divided by IS...hmmmm. How about simple, Free Spirit Light Bearers? CABAL IS NOTHING FROM NOW ON. After 7 days, note and evaluate effects. Resistance Movement? That gives power to the force you counteract. Freedom Movement? That implies the counterforce has already been dissolved / is dissolving. Just simple logic. We are powerhouses and should watch how we word things. Dear Rob, thanks for your suggestions. As a point of reference, rituals are very powerful energetic ceremonies that can be used for good or for ill. They have been used over the millenium by native people across the globe, as well as Mystery School priestesses, to connect with and activate positive cosmic forces. I share your feelings on this, Rob. Rituals are best left to those who know what that ritual actually does for/to their individual soul and energies. As far as the wording of some things on here: Totally agree. This post is called "the final resistance." Interesting . . .
Well, I know for a fact that MY Goal is not resistance but LIBERATION. Liberation Of GAIA, and Liberation Of All Mankind. 2. Make sure the people know they are free. How long has it been since the last time we smiled because we are so worried about the date of the Event? If saving Earth seems like a daunting task, why don't we start to save ourselves first? 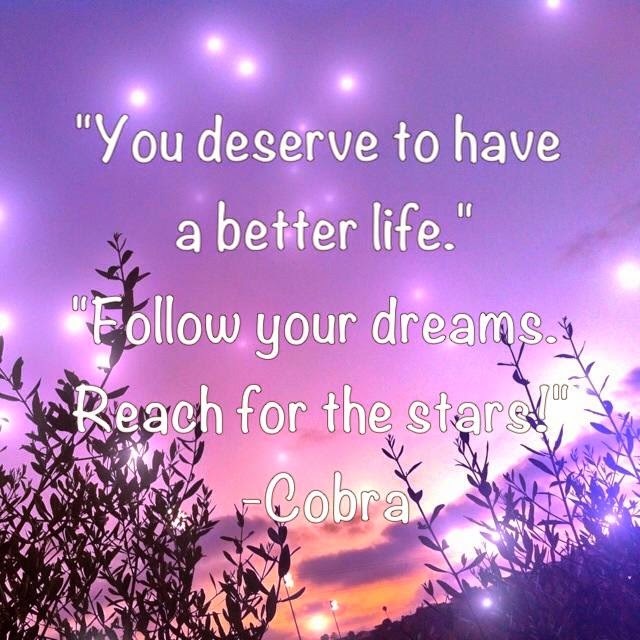 There are lots of people in this world who do not know Cobra, do not know our star family, and even do not know this world is an illusion, BUT somehow they love helping other people and are shining more light and live happily and contentedly than we lightworkers or starseeds do. Therefore, the first thing we need to do is to live happily and BE RESPONSIBLE for our own lives. It is during these moments of happiness that we begin to feel and spread light/love to mother Earth unconsciously, and are free of Archons' mind control. "Every small action counts and brings the Event a little closer." So why not try to be responsible for our own lives, to save even just ourselves? "We are our own saviors," said Cobra during the portal opening conference this March. If it applies in our own daily lives, then yes, we are indeed our own saviors (of our own smiles and daily lives). well spoken 拉 Lee! Let us all live and LOVE! then we will see what comes. Amazing things I BELIEVE! I think it's huge news that a special task force group "Round-Op Alpha" is organizing to help arrest the dark cabal and their minions and our light warriors and positive military can help along with legal helpers etc.....I'm a light worker not a light warrior but I know many are light warriors and will join to help and also the Galactic Federation of Light will join in if needed as they did in the Bundy Ranch situation....The light is shining bright, so everyone hang in there! I want proof that this is really happening. Many are not just passively waiting for the Event, you just feed us with new Dates or Announcements. Why cant you show us some Proof? Dont you think that many more People would support this if they would see some Physical Evidence of all this happening what you speak of? I just dont understand it...im loosing my Faith and I honestly think that im not the only one. I was actually not even a bit surprised whit this update, since there are more and more people like you that are ''losing faith'' and ''wanting proof'' etc. See, the change always start within yourself. You are the magnificent creation of the Universe and you and only you can make change for yourself. Do not wait for the Event to make changes for you. Take your own step, meditate, hold the Light and be the change you want to see in the world. Only then, the changes will begin to happen in your life. Believe in yourself and be strong. I know what you are talking about. I changed so much in the last 2 years..and I mean much. I pray for a better World I always try my best to live the change, but all I see is Greed,Corruption,War...Pain. And im tired of this, thats why I really want to see Progress being made. Im just a Human Being, I need to see or hear thats how I am. Who is the RM? Why cant we physically help them? Im interested in questions like that. Why isnt anyone else asking these questions, Dont you want to really know what is going on and what the Truth is? Multumesc ! Creator .Multumesc ! Co.bra , RM si ceilalti dragi galactici: toata dragostea si iubirea pt. voi galactici frumosi si luminosi . Multumesc pt. munca voastra.Sunt de acord ca acesta este un test-discernamant-perseverenta.Nimic nu-i intamplator ca acum suntem mai multi ca niciodata treziti la cate se petrec. Ceea ce se asteapta este un Timp UNIC in Univers si nu se va mai repeta. E normal ca aceea zi vine ca ''un hot in noapte'' .Lumina Sus ! Victoria luminii Este !! Suntem Unul si asta conteaza .Pace si lumina pt. toti .Fiti binecuvantati ! Cu iubire si respect ,Quadra. Eliberare acum !!!!!!!!!!! Victoria Luminii Acum !!!!!!! I'm gonna be honest. You guys, STOP acting like babies. Stop being so hard on Cobra and the Resistance. They are trying to help us. If you want to be mad, get mad at the cabal. After you're done being pissed off at them, re-evaluate yourself and think and ask yourself about what you can do to help better this planetary situation. We cannot unite as one if we keep getting mad, throwing rocks at each other, and pointing fingers saying "Where's the proof? We're tired!" I understand that we are ALL tired. You don't think Cobra and RM are too? I feel every pain that each one of you guys are feeling. Together we are feeling pain and that is making us mad, but please, don't put so much pressure on the ones who are actually helping us. We all hold a responsibility and have the power to make a change. If you are getting mad and loosing faith, you are letting the cabal win. I know that it is not easy to be positive or hold the light, but do you really wanna give up after you've came through this long? No, no, no. We are going backwards. We should go forward and put our energy into the best of who we are. Don't stop fighting. This isn't over yet. We are gonna win. We are unstoppable and even they can't stop the awakened ones. Stay strong. Stay in the light. Peace. @TheLightWarrior... Hear hear Sir!!! Agreed! Thank you for saying what I have been feeling for some time now. Also, (for the restless, unhappy & venting commenters), MEDITATE on what you WANT to manifest., rather than continually focusing on (ego driven) fears & doubts. Learn that you create your own reality with your THOUGHTS, FEELINGS, and ACTIONS! The Event will be triggered from within our Hearts not from something we solve or understand with our Minds. Meditate Meditate Meditate. Look within for the answers! That is the PATH. Peace and Love to All! and EVERYONE keep in mind. if you all were to stand up against the beast tomorrow what would they do? remember do not put your life in anyones hands. what are you doing to get all the people you know to go against the system? are you using the NAME? and you paying your bills? taxes? that is only reinforcing the BEAST. what are YOU doing?????? Let us transmute that anger, that energy, into action and positive endeavors to increase the light! We mourn our brothers and sisters who suffer, love to all. We must work harder now, and harder than we have before. We will usher in the new day, we will enjoy our due. Lets earn it. Lets go! @Mitchell: what you tell is so unjust, it makes me physical pain. I do not know what the RM are doing and how they live, but what I FEEL is, that what you say is so so so UNTRUE. PLEASE do me one favour and stop to pitty yourself. Go into your own power and give yourself the LOVE you are seeking for, so you will not depend from the outside THAT much any longer. PLEASE !!! I understand. Everyone has the right to feel what they feel. It's what you do with your energy that really determines your power to create a better something. Complaining will get you no where. Don't victimize yourself. You'll only loose while letting those who like to control, control you. Be in charge of your emotions and energy and channel it to make a better and greater you. It's ok to get mad and upset from time to time because we are human like that but don't just react. Create and change the way you think. Cobra also has his/her duality challenges like paying for bills and stuff like we do. Cobra mentioned in the portal conference this March if he/she had given up doing planet liberation every week ten years ago, situations here would not have been improved.I'm sure the RM and the light forces also have their own challenges. We should give them the benefit of doubt before we judge them simply by guessing. Afterall, no one knows for sure what they have been through, and how much they have done for us. Complain all you want brother, but remember that you chose to be here to experience all this. How TF do you know that Cobras life is full of milk and honey? @ellana, I am sorry that my post brought you pain. That is very strange to me because I was just expressing my opinion. In my opinion, Cobra is asking too much of us ground crew. He expects things that we can't deliver and his approach at times seems to lack compassion and/or understanding. I don't like that. I just wanted to put things in perspective. We are really suffering here on the surface of this planet. We have to struggle everyday just to survive, and that asking us to free ourselves from slavery is really too much to ask. Now, that is just my opinion. You can agree or disagree...but there is no reason to feel pain! I don't always have to agree with Cobra. He isn't my guru or my Ascended Master. We all make mistakes. The thing is to not overreact when we disagree with someone. of the Divine Plan as intended by Prime Creator. the highest good and the highest outcome for all. As received from Sanat Kumara who said “Get a hundred people to say this prayer each day and miracles will be created”. Even if the event happened in 2 months now, it would be too late to give me the healing and financial help I would need to survive physically so I can see it as though from a distance somehow as it will not afffect me. I have noticed inconsistencies and changes to information recently which I am sure could not be helped and I think this piece Cobra wrote needed bravery and honesty as it could not have been easy to have to write this, complaints guarenteed, so give credit when it is due. . These could be due to any number of reasons. changing of minds, difficult communication, maybe odd one batting for other team. Last Sept we had the Ghostbuster video and made assumptions that this meant the archons were to be gone by then but this clearly did not occur. There have been changes recently given re archon occupation levels of astral.etheric levels. We were told removing them was taking too long and the resistance had a plan for the event without this and we got the petition. Then we were told that it could not happen because the grid would come down. Twice since, I have read that the archons need to be cleared first now. Nobody should be blamed and Cobra gets his intel from various sources but I feel that the hope then no hope and these inconsistences and timings of intel have created a fair amount of the doubt and disgruntlement . I would like to know what happened to make people react such that the planet is not ready in the last activation. I am an archon targit but I noticed no extra difficulties or any disturbances. Forgive me but I think questioning, so long as it is polite is part of my job. It is a very complex situation. The Plan is not set in stone, it is dynamic and it adapts to the situation. The Event may or may not happen before the etheric Archons are removed. What will it take to make it happen? I don't understand that if it can happen before we reach critical mass then why doesn't it just happen? thank you so much, if I were able to heal I would never charge money. I don't understand how someone could do such a thing, just like fresh food from nature is a necessity so is healing and awaking ones consciousness. I feel like the light worker or energy workers who charge money are not true energy workers because the energy emitted by only aiding to the liberation in the form of money offsets the whole purpose of raising the energy field.. it I a form of greed and needs to be eliminated in order for human to truly live a life of purpose in the light.. Thank you for the inspiring video. Interesting how the mind can always find excuses. The soul has no boundaries. Etheric parasites, open war is upon you. Go Alpha, sharpen your pitchforks! Some music to keep the faith up! The truth wil set you free, but first it wil piss you of! First, freak out then find you're calm again. Than go and think what you can do! Ceep a cool head and Do not forget to smile. Folks, remind yourselves that you are light beings/souls occupying a human body, not a human body with a soul. You are eternal, immortal, you always were and always will be. You are still thinking like a physical being, once you remove the physicality of your existence, you will then just know that this game in this vehicle (body) was a planned experiment and that it ends the way we planned for it to end. What is the obsession about 3D reality and our bodies? As long as we think like that, we will not be ready for the Event. As Cobra states, the task was hard and it was because the surface population was not ready. So get ready and get over your physical realities, this is just a temporary timeline we are in and we will be out soon. We are co-creators, we are and always have been ALL THAT IS. This is what is needed to move forward not the whining and complaining about what it didn't happen. Why was there no conference for the IS:IS portal activation? Good for you Edie. Its not your job to force your friends to accept new era of our planet and the end of slavery and mind control. Your friends have to do it for themselves the same way u did. I think it's communication is to test the degree of commitment and patience of the Lightworker The war between good and evil being waged now , can not be compared to a conventional war between nations of the physical plane . There is a war in which certain battles are won and others lost . Though wickedness has too much power and imagination , it can not be compared with the power of the forces of good . The well not only immediate liquidation of all existing evil on Earth because the experience of humans is associated with free will . But the powerful who control the evil in the world can not measure forces with well , since the well is infinitely more powerful . The forces of good , at this stage of planetary transition , and win all battles will gradually consolidating its position . This is done paced manner so that humans are able to follow the process , thereby adjusting their level of awareness for the new times . You can not shorten the process , because that would leave out a very large contingent of people who need to wake up to what is happening on the planet . Carlos Castilho , Brazil ( ps. : sorry for any mistakes , it does not dominate the English language ) . Are things getting moved around a bit? Sounds like the Event is getting delayed. Then last Saturday Iraq announced that after the elections (today), they are going to RI. Meaning they are going to re-instate the Dinar at it's higher rate. To me this is the prelude to a RV then GCR, though I could be wrong. COBRA I've been following you a long time. And I feel you're missing the disconnect. We didn't participate enough to suit the needs of opening the portal? You have said, time and time again, be careful with the dis-info out there. Sooo...you chose a reptilian name and have changed your story numerous times (mayhaps through no fault of your own) so pray tell, what reasons do we have to trust you over all the other dis-info out there? How do we know for sure the things you're asking us to do aren't in fact helping the Archons/Cabal? I don't think people are afraid or unwilling to act. Not at all. What we're unwilling to do is act for unknown sources/reasons. It goes beyond what may be perceived as a waste of time and energy (though people are quickly running out of both). Want a legion of help...show the WORLD your intentions! Arrest some people in mass. Change the news threads, don't give them a choice. Then you will have your support. And then some. Amen Shakes... amen. Cobra could you respond? THE NEXT 713 individual mind actively and knowingly conspire , well design the power and resources to consolidate - with the aim to be a world government is set up to provide them with full immunity from any past or future crimes - and therefore the RoA accordingly , collectively plead these individuals covering the entire crime was committed in your own nation and against humanity . "Yesterday the Cabal went a bit too far and the RM was 45 minutes away from triggering the event." And that's only what was posted over here. Never mind that WE ALL did a lot of other really intense and positive things since last november. So, end of april, all of a sudden it's "oh, they have weather control and cloning facilities." It's been know for years that the "new worldwide radio telescope" is a network of over 800 HAARP-facilities. ELF, ELM, microwave and infrared weather manipulations aren't exactly new either. Neither are the satellites in orbit. And bad weather stopping the Change Of The Ages? Come on, dude! Rajah, my dear friend, I think that it would be very positive to the surface population if you and other resistance movement members could talk a little more about your operations. Not the classified ones, but the past ones that you're allowed to talk about. You're quite right, comparing to the terrible things that you and your team have already faced, specially in the past, weather modification machines and cloning facilities are a piece of cake. People think this will delay the event for many years, but we all know that it won’t, because the forces of light dealt with things much, MUCH worst in the past. If this is the last barrier, then, manking is lucky. But unfortunately the people complain because they don't understand quite well the military operations of the forces of light. Perhaps you could help us all talking about it. I would point out that there are several powerful developments that have just happened: China is predicted to be the no.1 economy by the end of 2014. The Cabal is being exposed almost daily as 'warhawks' and 'oligarchs' - unpopular with the public. Discussions are entering the mainstream about taking down the Evil Banking system. The BRICS Alliance is moving forward with its own IMF and World Bank. There's much more but breaking down the Archon ugliness is working. Will all of this happen within this generation (20yrs)? Cobra has stated that the event has to occure before 2025. It seems to me, last 2014 or early 2015. COBRA, thank you for giving us a “reality check.” Your words ring strong and true in my ears. I, for one, choose to STAND UP and SUPPORT the Light Forces fighting on our behalf, with everything I have and everything I am. As others have said, we have not come this far and gone through this many false karmic cycles and thousands of years of suffering to give up now, when we are just a few inches from the finish line of FREEDOM!!! For those reading this blog who continue to express extreme doubts and anger directed at Cobra, you need to really broaden your mind and understanding to even begin to grasp the enormity of our planetary situation. Have you really stopped to think of how HUGE AND DAUNTING this task of our liberation really is??? We need to start showing more RESPECT AND APPRECIATION for what is being done on our behalf. It’s easy to sit behind a computer and make endless demands or call Cobra a “scam” and his intel a big “lie” but none of us are actually on the frontlines doing the work he and the RM are doing or dealing with the bad guys face to face. If we were, we would have far greater appreciation for what is being done. Cobra is being very honest, sharing both the victories and the challenges along the way. The LIE is what the dark forces have been feeding us through their false archonic network for thousands of years - that LIE blares across endless digital screens 24 hours a day. We need to learn to differentiate between the two, or we will never be good candidates for liberation. Cobra is trying to tell us, quite politely considering the recent backlash he’s been getting, that many of us are displaying a high level of IMMATURITY and A SEEMING INABILITY or UNWILLINGNESS to deal with Phase 1 of liberation. Becca, you put this very correct in words, this is exactly what I feel like too. Especially the part, that we can not put it all into one basket and to differentiate the fact that the light forces can not tell us special things because they do not know or to protect us /them and so they don't tell us everything for our higest wellbeing and the dark forces are lying to manipulate and to enslave. I think this is quite a big difference which what we have to be very careful and fair. If we are telling the light forces they have to give us proof we are actually acting as if we would belong to the archons. Because this are THEIR patterns. We do not need proof, because we can FEEL the truth in our heart. Thank you for your very good posts Becca <3. We need to understand that we are a “testing ground” for the RM. They are looking to see how we will react to certain energetic situations (like the intense Grand Cross alignment and the IS:IS portal opening) to gauge whether the surface population can handle The Event. If we here on this blog, the supposed Awakened or Awakening Ones, cannot handle Pre-Event Jitters, how is the REST of the population going to handle a shocking unexpected financial shutdown when everything in their world changes in a nanosecond and they suddenly have no access to money or resources? Those complaining of delays, stop to consider that you may be the one causing the delay by your own words and reactions. Some have even said “pay no attention to how badly we are acting right now, we will act much better once you trigger the Event.” Really? Why should Cobra believe you? All he and the RM can go by is what you are saying and doing now. This is a time for displaying WISDOM and LEVEL HEADEDNESS, not for throwing tantrums. PLUS - everyone needs to understand that Cobra has only released a TINY FRACTION of what has been going on behind the scenes. He cannot share every single strategy, maneuver, red alert scenario or piece of intel that comes across his desk. It would be an overload of information and it would also not be wise to let the Cabal know exactly what the RM is doing. There needs to be a lot of secrecy at this time. This is being done, not to pull the wool over our eyes, but to PROTECT US. Cobra and the RM need our undivided SUPPORT now more than ever. Let’s not let them (and our planet) down! STAND UP AND WORK FOR VICTORY! COBRA AND THE RM HAVE ISSUED A CLARION CALL - STAND UP AND BE COUNTED! WILL YOU ANSWER THE CALL? Want the Event to happen faster and more intel to be released? STAND UP....and declare your sovereignty! STAND UP.....and do something every single day to contribute to the Solution! Create a Blog and spread the word, work on Free Energy Devices, Quantum Healing Devices, anything that is of a Higher Vibration.....find your Talent and your Passion.....and pursue it, even if you only have a few hours a week to devote to it.....just start. STAND UP.....and Rewire your Matrix Mind from negative to positive by watching/reading inspiring content every single day and watch your outlook change! What you focus on.....expands. STAND UP.....and help create the New Earth! IT IS TIME TO RISE TO OUR HIGHEST POTENTIAL AND SHOW OUR GALACTIC BROTHERS AND SISTERS WHAT WE ARE REALLY MADE OF!!! LET’S SHOW THEM WE ARE READY FOR LIBERATION. STAND UP! THAT EXTRA DEGREE OF EFFORT WILL SPELL V-I-C-T-O-R-Y! TEAMWORK IS ESSENTIAL. Watch this brief Video and Get Motivated! I invite comments on this rendering of our situation: If our group meditations have too few participants, and we have reached a bottleneck, would it make more sense to partner with a group of people who have already organized, and proven that they have a high light quotient? I'm talking about the Kryon.com group. Their goals dovetail nicely with the resistance movement. They have keenly sought peaceful solutions to world problems for over twenty years now. I would imagine that their participation would be a huge boost for the event. I've heard them use the term, "The Wild Card," a totally unexpected, out of left field experience that nobody could predict. See where I'm going with this? this idea). Afterall, when births are complecated, are there not c-sections done?? I only wish that which is for the good of all concerned. Is this something that can assist. Let's not be naive. 90% of people you meet everyday won't believe you, simply because to them all these things just seems like coming from a sci-fi (science fiction) fantasy, or just mere vivid imaginations/dreams only. most/majority of people are actually *not* that ignorant, it's NOT that simple..! but it's mainly because of the real fact/truth/reality that most people/human beings now are simply struggling to even just make bare survival everyday. and plus, how can most of them know about all these stuff, if you don't talk about it with them? that's really unfair, don't you think? even YOU once also must have known about Cobra, RM, and this blog post & 'hidden, NON-physical' stuff like these from other people (or other people's posts, etc). please be real honest and do some deep Self-introspection yourself first, before *quickly/prematurely* and even *ignorantly/irresponsibly/irrationally* judging those 90% majority of human beings/people on this planet! Truth is Truth. and there should be no "negative" truth. And people, please don't mistake objectivity for negativity and wishful thinking for positivity. Be very REAL, and all those "90% people/humans around you everyday" would THEN start to believe or at the very least consider your words. People simply need real PROOF, and/or personal experience that they can experience very real, not just another mere human's fantasy/imagination/hallucination/delusion/wishful-thinking/fake hope that is still NOT based in everyday's reality! The thing that's missing in all these meditation get-togethers is courage. And WILL. And trust, in The Source. When you realize that you're a perfect, immortal spirit, whole and innocent, and that all is forgiven and released, and that you're indestructible and utterly loved beyond anything you could ever possibly imagine... no one has anything on you. Kid, you can move mountains. well, with all due respect, please prove to me first that you can *literally* move mountains. then perhaps I will start believe you. All this whining and complaining, doesn't sound like many of you even deserve something better. What a bunch of kids, you need to grow up, if you don't like it, get lost from here. it's easy for you to say these words while sitting comfortably behind computer screen/monitor or latest gadget smartphone. try to position yourself in all those poor, war-zones, handicapped, born-defects, raped, beaten, abused, tortured, treated unfairly people everyday all across the world/planet. be *emphatic* with all those people who undergo such very painful hardships & difficulties, instead of merely & ignorantly quickly judging them as being "negative" only. I suppose the 20,000 or so people dying everyday of starvation should stop whining and complaining that they have no food. or the people who have lost their homes or children because of this corrupt system. I guess these people deserve it if they complaining about it. Isn't that what protesting is all about. Telling people they don't deserve something better is about as low as you can get in this forum. Its the antithesis of what this liberation is all about. And to top it off, telling people to get lost from here? Wow! There are many comments here and each comes from a unique individual awareness. that IS everlasting unity. This is referred to by countless names. I would like to point out from my life experience, I understand there is an all knowing or divine intelligence inherent in every display, in every action. Consider that life has an inherent order and that it is natural to relish happiness, peace, well being. That is intelligently built into creation. Even one committing an act of destruction, on some level that being "thinks" that it will bring him/her some good state of being. The principle of well being is present in all. of life, that the ONE can appear as diverse creation while simultaneously never being separate from that creation as ONE, and its purposeful intent. Therefore, as many have said, have Trust in the ONE. Or certainly, follow your own innermost prompting, heart and soul. Cobra and countless others who are of good intent promoting the Light, yourself included, are like "ambassadors" of the ONE divine intelligence. I would suggest that we each keep in our awareness somewhere that it is divine intelligence, the ONE responsible for ALL, that has a sublime purpose in every moment and every action. is foreign to, separate from, or that has "something over" the ONE who is ever present in ALL and who has created all that is? There is no one action done or not done that affects the total will of the divine intelligence for creation's well being. The intent of the ONE is ALREADY set in motion, however dynamic it may be in each moment, subject to the creative flow to change. Evidently now is the time of a New Golden Age of Harmony on earth (referred to by many names). It is ordained by the ONE, of which each of us is an ambassador and each of us is playing our role. Please don't place ANYONE on a pedestal other than the ONE (if even that). Follow your own sense of what resonates. Cobra and others, however evolved and realized they are, will tell you that they don't pretend to be God, so to speak. Each of us humbly offers our own gift, good fortune and blessings to others, not feeling like "we know it all". world of "polar opposites like on earth" (good, bad, up, down, pleasure, pain, etc)? There is only the ONE. All the answers are in the totality of intelligence, and love (I might add) that are DEEPER THAN the basic appearances of the Light vs the Darkness. Everyone and every thing has its perfect role, even the darkness. It is ALL within the purvey, the sublime view of the Almighty ONE. Thank you for each and everyone contributing in their own way. people are Not complaining. stop quickly and prematurely judging others, especially if you are now in such a comfortable position/situation in everyday's life. some (or many) people here are actually in fact being very REAL honest, sharing what they've really TRULY feel, even after all their REAL ACTION/EFFORTS! this is seriously and honestly *why* I am very saddened and frustrated when seeing the supposedly "Lightworkers, Spiritual, Truthseekers, Starseeds etc etc" type of people here are the ones being very judgmental, ignorant, lacking empathy, selfish, egocentric, and inconsiderate THEMselves! as well many of these type of people are often sooo unrealistic, only clinging to mere fantasy/wishful-thinking that are still not coming into everyday's real reality! Some people here seem to mistake objectivity for negativity and wishful thinking for positivity. Soms lightworkers accact back on the Vatican Ceremony and the holly making of 4 pope's. 2 allive and 2 dead pope's. The ceremony was a hidden way to call up a demon/worship a demon in plain site. And at the ritual in what the elite (ilumi-nutty) worshipping that big owl in the middel of a forrest. Can you give anny feedback of this help to reduse the evil? in my opinion we could reach a lot more, wenn you make a direct contact to "Most Spiritually Influential Living People" http://www.watkinsbooks.com/review/watkins-spiritual-100-list-for-2014 and ask them to support. You are your government - change it. This is your government, your planet - change it! I think alot of people here are overlooking Cobras message in this post . Its right there in the tittle. Niki, the Cabal have threatened to let off a strangelet bomb if you don't stop complaining. Eostre's Gift will be past down to Gaia NOW!!! Much Much Love and Light for what you have done. Today We got Strike 3 (THREE) and they are OUT!!! These days when I read the comments here, I see quite a few of them are judging each side. I know it is we humanity's responsibility to liberate Mother Earth, and we sometimes, included myself, feel quite disappointed how come some would rather wait instead of doing things, even just a little, to make this world a better place. But is judging each other what we sign up for before this incarnation? The reason we are here is because we want to help our brothers and sisters. It gradually dawns on me that how easy that we (and myself of course) fall into the consciousness of duality: we either love or hate our brothers and sisters in terms of whether they fulfill their responsibility to liberate Mother Earth. But we are all ONE. Why do we hold judgement toward each other? Just respect each side, and send love and light to each other. Glad there are quite a few people here also thinking judging is the last thing we need right now. Thanks you. Feed what you want to grow..... what you feed will grow. Think like water.... let it flow. I am thankful for this experience that I signed up for, that has already happened. Turn up your joy to 11 and ROCK IT !! Much love to ALL ! !